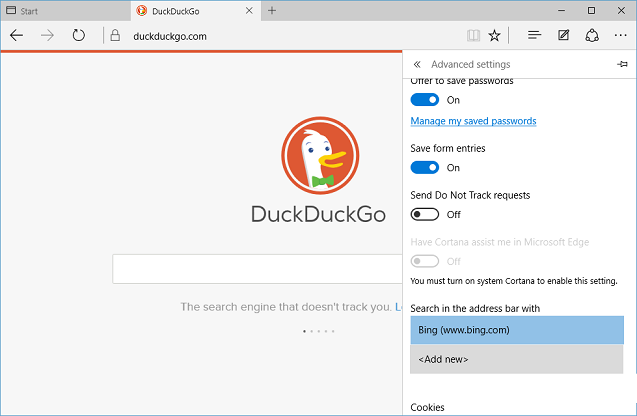 When you open search engine website url (like www.duckduckgo.com) which supports OpenSearch standard in Microsoft Edge browser, it will automatically detect the search engine and add it to list of search engines that you can set as default in Microsoft Edge. You no longer need to download and install "search provider plugins" like in Internet Explorer. 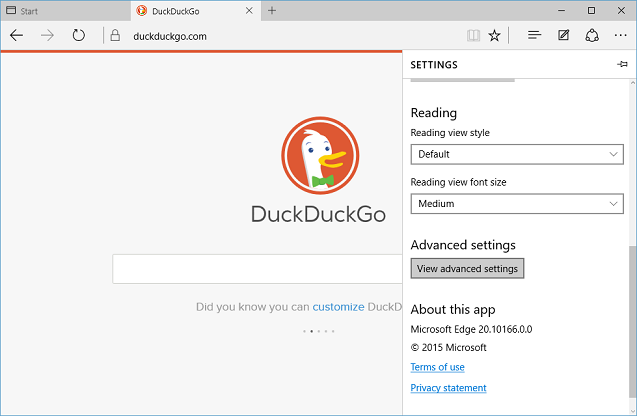 Follow below steps to change your default search engine in Microsoft Edge browser in Windows 10. 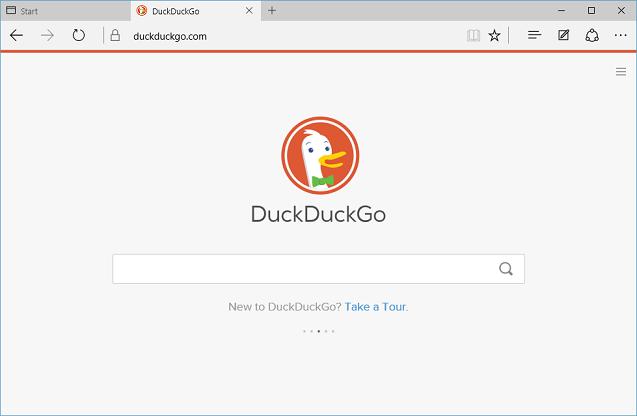 Open search engine website in Microsoft Edge browser. In "Advanced Settings" scroll down and click dropdown box under "Search in the address bar with", and click on "Add new" in dropdown box to open "Add a search provider" screen. 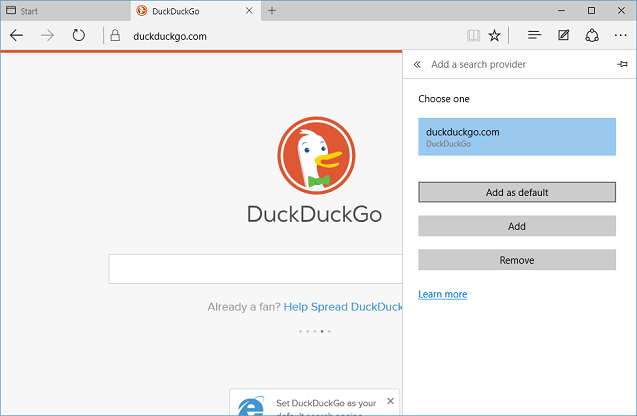 "Add a search provider" screen will show all of available search engines that you can select as default in Microsoft Edge browser. If you have opened search engine website in step 1 and it also supports OpenSearch standard, that search engine will be available here for selection. 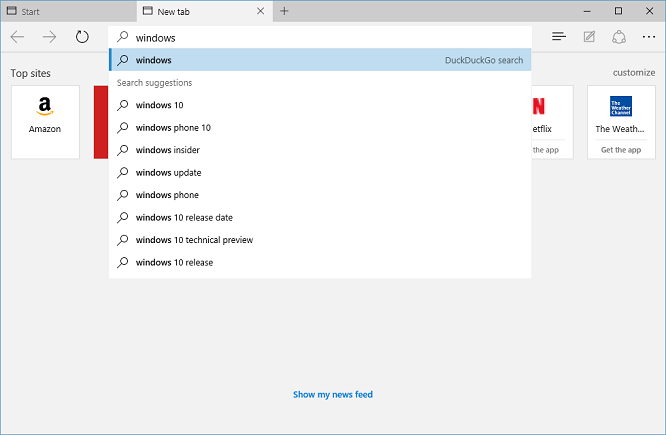 Select on new default search engine that you want to set, and click on "Set as default". 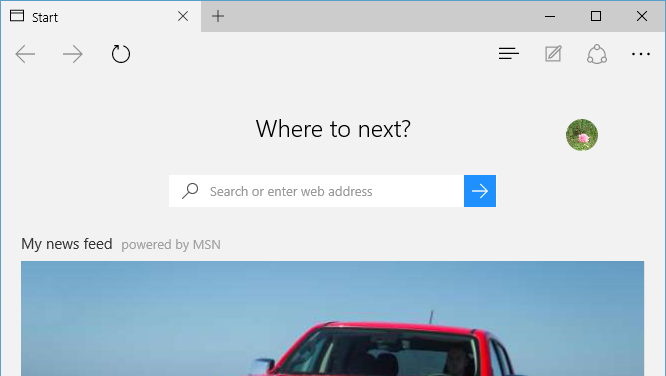 This will set your newly selected search engine as default for address bar searches as well as "Where to next" search box searches in Microsoft Edge browser. When you type anything in address bar, auto suggestions will also be suggested by your default search engine provider. 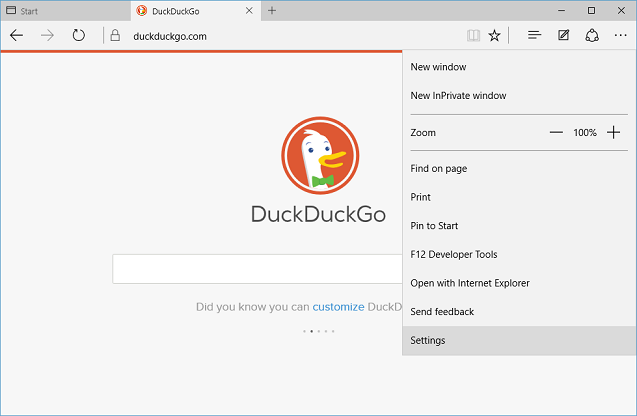 Note that these settings will change default search provider only for Microsoft Edge browser and not for Internet Explorer in Windows 10.